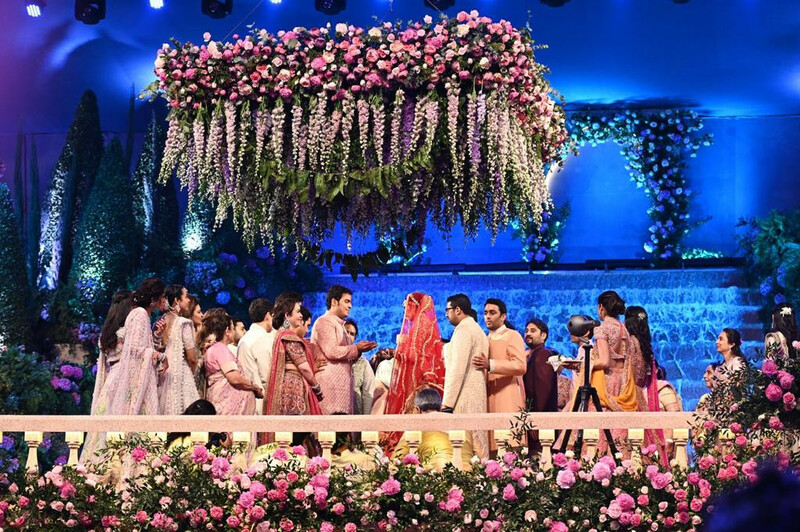 The grandest wedding of the year just happened as Akash Ambani, son of Reliance chairman Mukesh Ambani and Nita Ambani tied a knot with Shloka Mehta, daughter of diamantaire Russell Mehta and Mona Mehta on March 10, 2019. Here are the insights of Akash Ambani-Shloka Mehta wedding. 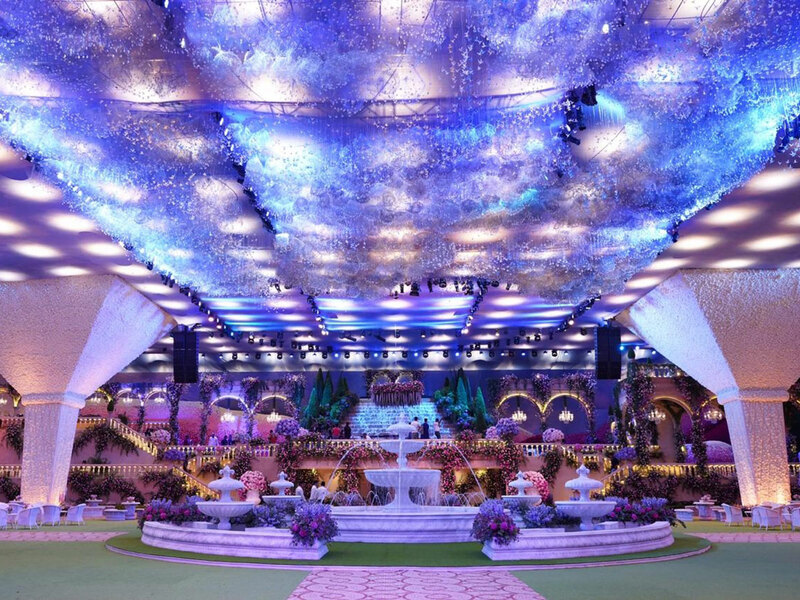 As the extravagant wedding unfolded at Jio World Centre in Mumbai, some of the biggest names in Bollywood, Hollywood, national and international business, sports and global politics made it to attend the wedding of Akash Ambani. The event was studded by appearances of Bollywood stars including all the Bachchans, the Kapoors, the Khans, Priyanka Chopra, Alia Bhatt, Deepika Padukone, Rajnikanth and the list goes on till the end of entire film and entertainment industry. International names like former British Prime Minister Tony Blair, Google Chief Executive Sundar Pichai, global chief executives of the Bank of America, Samsung and J P Morgan came down to Mumbai to attend the wedding. 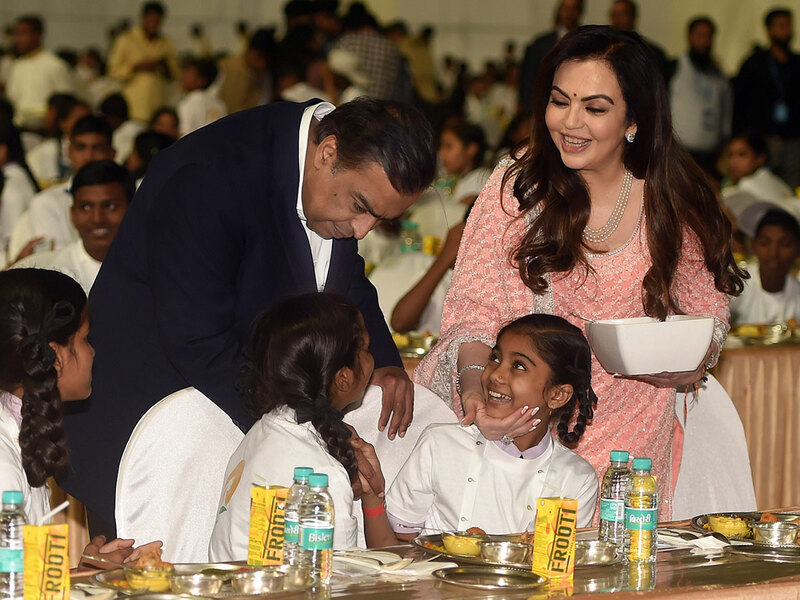 Not to forget the industrialist, Ratan Tata, Lakshmi Niwas Mittal and Usha Mittal, Anand Mahindra and Gautam Singhania were part of the extensive guest list. For the pre-wedding party, Akash and Shloka made sure to catch up with Beyonce's show in Isha and Anand Piramal's by inviting - Chainsmokers and Chris Martin of Coldplay. For the Indian leg of the wedding, Mika Singh and Honey Singh had appeared and - the reception ‘Mangal Parv' called for a performance from Maroon 5, led by Adam Levine.